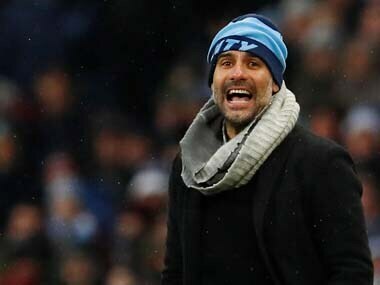 London: Holders Manchester City will take Tuesday's League Cup quarter-final with Leicester City seriously, says manager Pep Guardiola, even though they are in a tight duel with Liverpool for the Premier League title. Guardiola — whose Premier League champions trail Liverpool by a point — says it is only by winning trophies the club can get better, even if the League Cup is viewed as the third most important domestic trophy in English football. The 47-year-old Spaniard concedes Liverpool may benefit from no longer being involved in the League Cup — their next match is against Wolverhampton Wanderers on Friday — and if City progress they will face a two-legged semi-final in January. "We could say yes," said Guardiola, answering a question at his press conference over whether Liverpool had an advantage in having a lighter fixture list. "But I'd prefer to be in the League Cup than not. I cannot imagine going into a game thinking, 'Oh, it will be better to lose because then we'll have more time to rest'. I have never thought in that way," he added. "That is the only way a club like Manchester City — who 10 years ago were not in this position — can grow up, and get better and better. And that's what we have to do," said Guardiola. 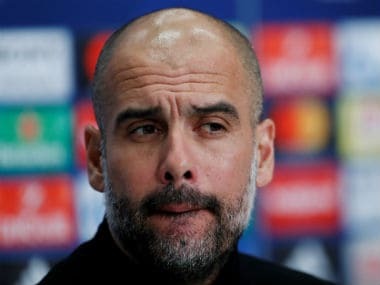 Guardiola said that those players who had played on Saturday in the 3-1 win over Everton would probably have to shoulder the responsibility of backing up against Leicester due to a growing injury list. 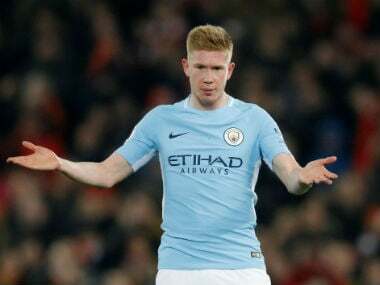 Belgian star Kevin de Bruyne returned against Everton and should play again whilst record goalscorer Argentine Sergio Aguero could start after afour-weekk absence through injury. "We don't have many players. We have a lot of injured players. Some players that played Saturday and in the last games have to play," said Guardiola. "But it is a chance to reach a semi-final and since I've been here my teams have never dropped one game, not even a friendly game. It is a competition, it must be respected, like we did it last season. We are going to try and win the game," he added.